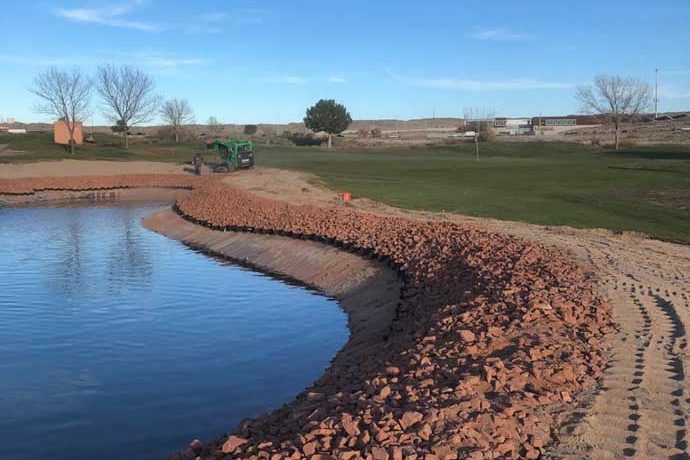 The par 3 6th hole at Isleta Eagle Golf Club has a new look, thanks to renovation of the hole's pond, which started life back in the 1990s as a 50-yard-long bunker. 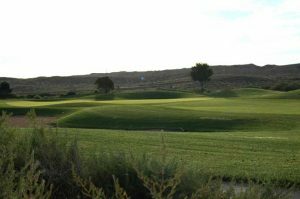 The hole, at the far southern edge of the Isleta Eagle Golf Club, plays 170-208 yards. The original configuration of Isleta Eagles Lakes No. 6 featured a 50-yard bunker (foreground) between the tee and the green. “The No. 6 lake was giving us problems,” Isleta Eagle General Manager Ramon Valdez said. Valdez called on Pro Turf International of Las Vegas, Nev., to fix the problem. Pro Turf also renovated the pond on the third hole of Isleta's Mesa nine. 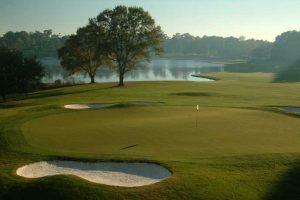 Membership for the 2019 season of the Sun Country Junior Golf program is now open. Boys and girls compete in the following age groups: 7-9, 10-12, 13-15 and 16-18. 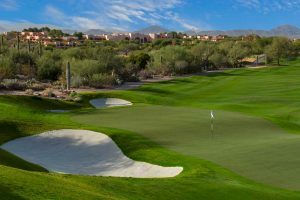 A $45 membership gets the player a handicap, eligibility to all Sun Country Junior Tour events, a copy of the Rules of Golf, a golf hat and membership in the Youth on Course program, which offers its members discounted golf in 25 courses in New Mexico and West Texas. The Junior Tour has more than 30 events around the state and runs from late May through July. Jason White, general manager of the New Mexico State University Golf Course, is the new president of the Sun Country PGA Section. He succeeds Pat Gavin, head of the Professional Golf Management program at NMSU. 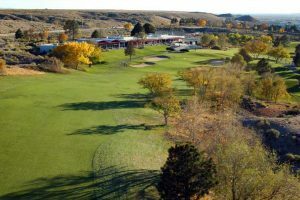 Matt Long, director of golf at Sandia Golf Club is the new vice-president. 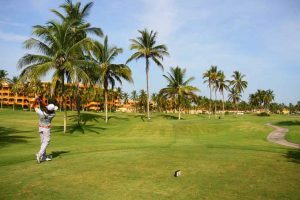 Tom Yost of the First Tee of San Juan Country, is the new secretary. Michael Phillips and Evan Sales from Angel Fire Resort have been named to U.S. Kids Golf's list of top 50 junior instructors. 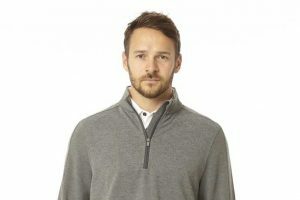 The Top 50 list includes golf professionals from the U.S., Canada, England, China, Australia, Hong Kong, Austria, Italy and Northern Ireland. Chris Kempter, long-time Albuquerque amateur player and father to former LPGA Tour player Katie Kempter, is pulling up stakes and moving to Georgia. Kempter. 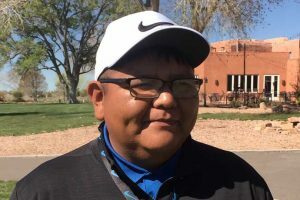 who has competed in UNM Championship Golf Course and Santa Ana Golf Club men's events for decades, writes that he's moving to be closer to his daughters. 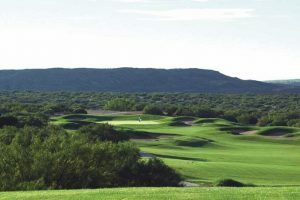 “We are headed to Stockbridge, Ga., to get closer to our kids,” he wrote to New Mexico Golf News. “Our youngest (Victoria) lives in Atlanta and works for Delta Airlines. Katie is living in Jupiter, Fla., and is working at Admirals Cove. She is going to start working on her [PGA of America} Class A pretty soon. 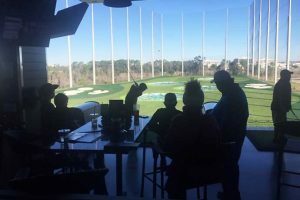 “We have bought a house at the Eagles Landing Country Club and will enjoy the golf course in our back yard,” he said. Katie Kempter won $111,270 on the LPGA Tour and Symetra Futures Tour over nine seasons. Her last start was last July at the Fuccillo Kia Classic of New York, where finished T30.